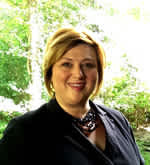 Louisiana’s Northshore has versatile facilities, exciting attractions, and an experienced sales team that will work to make your Northshore meeting more than you bargained for. Bring the whole family and play as hard as you work on Louisiana&apos;s Northshore! 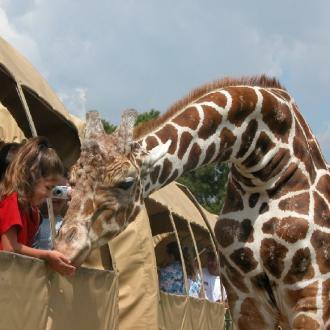 With 3,000+ hotel rooms, Louisiana&apos;s Northshore is perfect for meetings of 350 people or less. 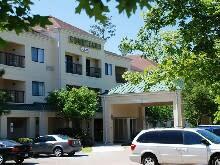 Escape from the big city but still enjoy all of St. Tammany&apos;s amenities. Choose from a number of meeting venues in St. Tammany Parish, including the state-of-the-art Harbor Center, featuring more than 45,000 square feet of meeting space, high-speed data ports, electricity, and water hook-ups every 30 feet in the trade show area. Or, the newly renovated boutique Southern Hotel offers meeting space in the heart of historic Covington&apos;s walking district. Check out all of our meeting facilities to find the one that fits your needs. The Harbor Center was designed to meet the 21st-century needs of meetings planners, conventioneers and events organizers. Its versatile spaces, which include an exhibit/banquet/assembly hall, recital hall and meeting rooms, can be easily reconfigured for a small meeting or a convention of 2,500 people. The 45,000-sq.-ft. the facility is a smart alternative for performances, social events, athletic tournaments, conferences and trade shows, thanks to its high-tech design. The NHC&apos;s multi-purpose kitchen can be used for additional space and is a great facility for culinary events and competitions. This venue also offers Wi-Fi throughout the building and high-speed data ports in the exhibit spaces. There&apos;s electricity, water, and telephone capability every 30 feet in the exhibit area. Located in a park setting in Mandeville, the Castine Center at Pelican Park has a 28,000-square-foot clear-span arena and two (2) 25’ x 25’ conference rooms with removable air wall. The upscale venue’s flexible meeting space can be subdivided to provide halls of differing sizes for a variety of meetings and events. 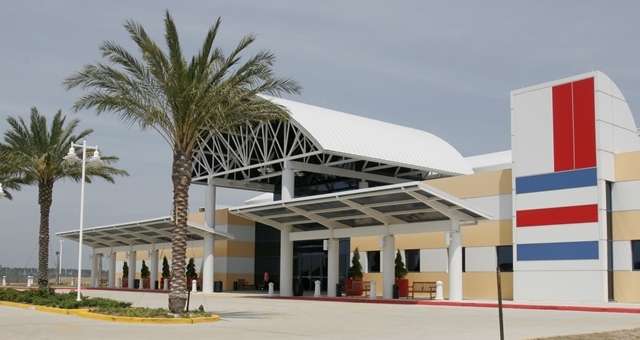 Ample parking and a covered porte cochere make for easy arrivals and departures. The Castine Center is also equipped with a 900-square-foot caterer&apos;s warming kitchen with locked storage area and two 20&apos; x 20&apos; outdoor cooking pads adjacent to the kitchen for seafood boiling or barbecuing. The Castine Center is ideal for trade shows, meetings, banquets, sports or fitness events and indoor company picnics for up to 2500 people. The Clarion Inn & Conference Center in Covington boasts a hands-on meeting staff to ensure that every facet of every conference runs smoothly. With more than 9,000 sq. ft. of flexible meeting space, the Clarion can comfortably accommodate groups of up to 300 for meetings, receptions or banquets. It also offers an extensive selection of audio-visual equipment, as well as a professional on-site catering staff to assist in planning your event. The Courtyard by Marriott Conference Center in Covington features four meeting rooms with a total of 3,200 sq. ft. of meeting space. The largest meeting room has a maximum meeting space of 2,275 sq. ft. and a maximum seating capacity of 200. The Courtyard by Marriott offers beautiful views of their duck ponds and free parking. First opened in 1907 in the heart of historic downtown Covington and re-opened in June of 2014 following a two-year complete renovation. Offering over 3,800 square feet of elegant event and meeting spaces, the hotel can accommodate executive and social events of any kind. The Ballroom provides 2,160 square feet of meeting space for 225 guests (reception) or 150 (seated) while the adjacent Sunroom can accommodate 75 guests (reception) or 45 (seated). The Olympia Boardroom has a maximum capacity of 40 guests (27 seated). The historic Southern Hotel offers a full-service bar, a picturesque brick Courtyard, catering by on-site Oxlot 9 Restaurant, free Wi-Fi and a full selection of audio-visual equipment. The former plantation home can accommodate up to 100 guests for romantic receptions and small meetings and parties. The separate grand Ballroom located right next door can accommodate up to 350 guests reception-style with on-site catering. Three unique ballrooms were designed to meet all your special event needs. Each room encompasses the necessities for a special event. The ballroom can accommodate up to 300 guests with downstairs seating of up to 150 guests. This full-service venue has on-site catering and in house audio/visual equipment. This venue can host groups up to 450 when utilizing the whole facility, and offers capacity for 200 seated. Offering several halls to choose from to help you customize your event. This venue offers on-site catering. This historical home serves as a special event facility holding up to 300 people. The elements of the home give it a warm feeling, yet also makes it an outstanding event facility. The venue features over 3,900 square feet of useable area, as well as 1,500-square-foot of porch that wraps around most of the home. This venue is located on the Lakeshore in Mandeville and available for rental to non-members. The wrap around porch provides spectacular views of the waters and beautiful sunsets. The downstairs area and yard are also available for outdoor events such as crawfish boils, bbq’s, birthday bashes and outdoor weddings. On-site catering is available. This 15,762-square-foot venue inside the Greater Covington Center includes a large stage, fixed seating for up to 400 people, a baby grand piano and dressing rooms. This hotel can accommodate your private business meeting or special event. The 2250 sq.ft conference center is perfect for a small or large function up to 200 people. Off-site Catering is available. Located right off Hwy 190 and offers 1 meeting room with 1400-square-foot total Area of Meeting Space. This venue can accommodate from 30-150 patrons and has On-site catering provided by the Bourbon Street Grill. Located right off I-10 and offers 1 meeting room with 1,036-square-foot total Area of Meeting Space. This venue can accommodate from 30-60 patrons and has on-site catering provided by their own Café 372. The Lake Pontchartrain Basin Maritime Museum has theater-style seating for 40 people. There are 3,600 sq. ft. of combined banquet rooms & a wrap-around covered exterior porch. The entire venue can accommodate up to 350 people. A serene environment that allows you to take a deep breath and just relax. Capable of accommodating wedding receptions for up to 300 guests, meetings and small corporate retreats. The Quail Farm is set on 53 rural acres in a park-like setting. Specializing in weddings, receptions, rehearsal dinners, cocktail parties, birthday parties, anniversaries, picnics, proms, fine dinners & corporate functions. Recently renovated indoor-outdoor event space. Located in the suburban business district of Covington, LA on I-12. The Hilton Garden Inn offers flexible meeting space accommodating up to 40 people in the 1,500 sq. ft. of conference and banquet space with catering services provided. Vintage Court&apos;s 300-year-old majestic live Oak tree is the heart of the grounds. With two ballrooms, the Main room accommodating 300 guests and the Renaissance room accommodating 150, the two rooms can be joined for a total of 500 attendees. On-site catering. The Greystone is located on 6 acres of beautiful grounds in the heart of Mandeville, with a 5,000 sq. foot Grand Ballroom capable of accommodating 350 people. The venue offers an outdoor courtyard, gazebo access, the Greystone Pond, and all the technical amenities needed. The venue offers in-house catering. 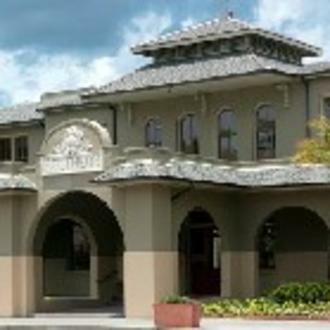 For additional meeting venues, with options including plantation homes, churches and settings overlooking Lake Pontchartrain, contact our Sales Department at 1-800-634-9443. View a link to facility floor plans to find one for your needs. Let us help you find the right venue, menu, and lodging for your event. 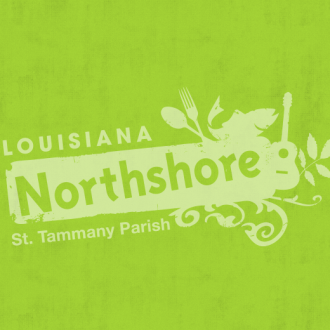 Experience the energy of the Northshore through our collection of Go Visit: Louisiana's Northshore videos.